Connect with your physical Body. Turn down the chatter in your Mind. Awaken your Spirit. Imagine gaining confidence to rid your body of aches and pains, heal injury, ease your mind, release tension and increase your overall well-being. Group Therapy does just that. Learn the Body’s innate language held in the Fascial System. Discover a fascinating side of yourself that you’ve been missing! WHAT TOPICS WILL WE LEARN? What is Myofascial Release Group Therapy? A one-of-a-kind therapeutic experience that your body is sure to appreciate! Group Therapy sessions are rooted in Myofascial Release principles and aimed at self-discovery. It is an opportunity to gain or deepen your awareness of patterns that may be holding you back, producing pain or causing mental stagnation. It can be about relieving physical tension in your body or calming your mind by opening the restrictions that develop in the physical body. It is an exploration that is unique and individualized. These classes are designed to meet you where you are. 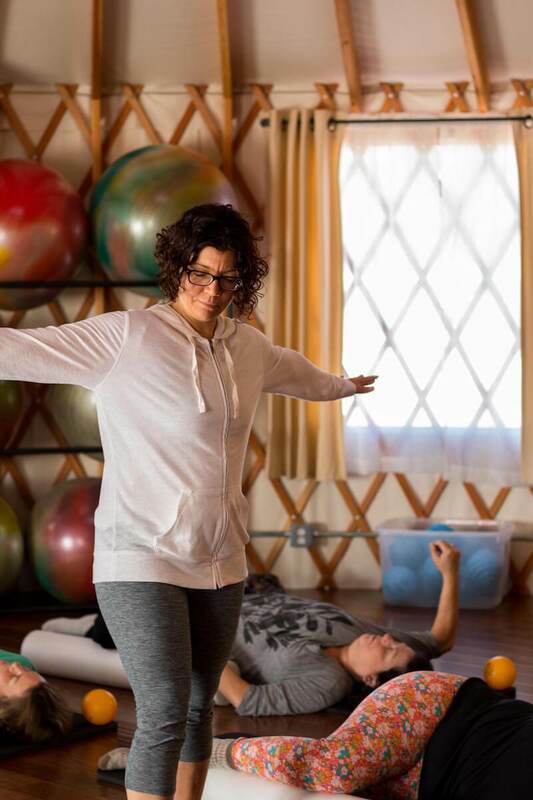 Whether you are an experienced foam roller or have always been intimidated to try; whether you have a healthy self-care routine or are looking for a place to begin, Group Therapy is sure to have something to offer you. The vision behind Group Therapy comes from over a decade of experience learning Myofascial Release in a group setting. There is something about the power of gathering together, while holding a similar intention, that can offer a quantum effect to your healing process. Unless you have experience with Myofascial Release, being able to recognize fascial restrictions in your body takes guidance and practice. Oftentimes, the sensations you feel when engaging the Fascial System are unfamiliar. Or you may not know what to look out for. This system of connective tissue has a distinct language and expression. The time and techniques offered in Group Therapy allow you to get familiar with how your fascial system communicates. Group Therapy is an invitation to start or deepen your self-care practice by utilizing Myofascial Release principles. Gain confidence in using tools such as balls and foam rollers which are great to aid in self-release. Learn to get a little creative with your stretching, which can enhance fascial freedom. Add some tricks and tips to your self-care toolbox, deepen your internal awareness and take the bore out of traditional stretching. This is authentic healing, taken into your own hands! What Topics Will We Learn/Explore in Group Therapy? Examine your beliefs around pain or limited function present in your body. I've never been in a class that is so adaptable for every person. Renie provides modifications to make the positions easier or more challenging, and her hands-on-help is amazing." What are Group Therapy Sessions Like? Stepping into the Yurt for a Group Therapy session is YOUR TIME. Above all else, a Group Therapy session is time that you dedicate to give your body some specialized attention. Although this is an individualized experience, it is in a small-group setting. You are encouraged and welcome to show up AS-IS! Experienced or novice. Feeling fine or somewhat disheveled. Moving free or all jammed up. Your BodyMindSpirit, in whatever the current condition, will appreciate your efforts of simply walking through the door. Think, EXHALE. The deep work that can transpire in a Group Therapy session is somewhat magical. The energy of the class transforms as everyone begins to sink into their body. But there is an aim to keep things light-hearted. Those that gather for each class may have a common goal as it relates to opening the body, but each brings their own unique reasons and circumstance. Everyone has something to release! If you come regularly, you will likely begin to see familiar faces. And you may get more comfortable with some common techniques. Your body can begin to recognize when a technique is going to offer a ‘sink in and chill out’ effect or if it is going to be somewhat therapeutically challenging. There are a few techniques that often elicit a collective moan and groan of deep sensation. The widespread therapeutic sensation felt throughout the Yurt lets you know you are not alone. Although the basic structure of a Group Therapy class is consistent, the focus, sequence and playlist differs each week. For example, the focus may vary from mostly upper body techniques or a lower body exploration. There may be more techniques on the foam roller in one class, and more balls and movement in another. Modifications are always available to meet your individual needs. And you are able to receive guidance and some ‘hands-on’ assistance for those hard to reach places. The StillPoint Yurt has a distinct, unique feel. It was created with healing in mind. Come as you are—you will likely discover a few hidden treasures buried in your Fascial System. What Should I Bring to Group Therapy ? "This class allows me to unfurl. I often arrive feeling at some distance from myself...and through the power of presence, Renie's instruction and a great soundtrack, I leave feeling connected, spacious and more alive." Like all things rooted in self-care, commitment and consistency prove effective. Yet different people have different goals. Group Therapy classes are a great way to enhance your one-on-one treatment sessions, bridging the gap between appointments. These classes are also very effective as your main source of Myofascial Release. They allow you to become more familiar with the 'unique voice' of your own Fascial System. The more you understand how your body responds to Fascial Work, the deeper the conversation you can have. Remember, tending to your BodyMindSpirit is one of the most important, yet underutilized, gifts you can give yourself. If you have been meaning to get to that yoga class, make time to stretch, deal with a nagging, chronic physical issue, or just want to honor yourself: JOIN US for a unique and authentic self-care experience! Register for an upcoming Myofascial Release Group Therapy class at StillPoint MFR.